It’s no secret: Ottawa residents love to indulge in Chinese food. Chinese cuisine is savory, hugely-varied and superabundant. Whether you want a buffet experience, a traditional sit-down or a home delivery, you are guaranteed of a ton of food joints to pick from. What’s more, there’s always an attractive deal up for grabs from some of the best Chinese food Ottawa eateries. It is one thing to know what to eat but knowing where to get quality and tantalizing Chinese food in Ottawa can be a daunting task. The size of Chinatown doesn’t make things any easier. But don’t sweat it – we have compiled a list of 5 our must-try Chinese food restaurants. Ottawa’s Chinatown as a whole brim with mouth-watering Chinese cuisines but Jadeland is in a league of its own. This is the place to go if you want something out of the ordinary – each meal is not only a treat but an adventure. If you are open-minded, expect to treat your taste buds to something a little more intense (in a good way) than your classic take away. The next time you feel the need to explore some new Chinese food, look no further than Jadeland! Ever wondered why Ottawans can’t stop talking about their dim sum? The answer is simple – Mandarin Ogilvie. No doubt many other Chinese restaurants in the Canadian capital serve this delicacy but there’s something special about the one served by Mandarin Ogilvie. We aren’t sure whether the magic is in the recipe, the great ambiance or the love accompanying the meal. But it is really one of the best Chinese food Ottawa joints. Ask any native Ottawan where to find the best egg rolls in the city and they will instantly point you to Golden Place. Their egg rolls are worth dying for. Of course, there are plenty of other amazing recipes on the menu but from our standpoint, you may not get any better non-greasy, mushy, and perfectly salty egg rolls in the entire city of Ottawa. 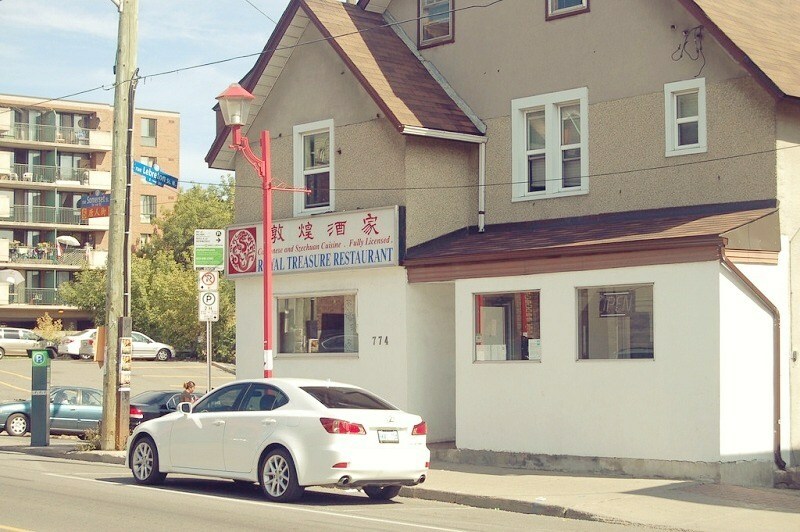 If you ever need an Ottawa food joint that can cater to your giant-sized Chinese appetite – plus that of your friends, don’t hesitate to stop by Royal Treasure. Sure, it is a hole in the wall restaurant but wait until you take a bite of their fried wonton wrappers or their crispy duck! You’ll surely keep coming back for more – that’s given! Furthermore, the size of the portion you get compared to its rock-bottom price is just unbelievable. Last but not least is the ever-busy but super inviting Yangxte Dining Lounge. Like Mandarin Ogilvie above, Yangzte is well known for its out-of-this-world charming dim sum recipes. If you can get past the rather dull and seemingly outdated décor elements, you will certainly treat your taste buds to a slice of heaven. Some of the must-try dim sum dishes in Yangzteinclude steamed beef ribs, chicken feet, pork spare ribs, beef tripe, Shrimp Siu Mai, peanut dumplings, and HarGow. Don’t worry if you aren’t into a dim sum; Yangzte will take care of you too. Their sweet and sour pork, snow peas, and shrimp with cashews will definitely blow your mind. Just ensure that you reserve your seat ahead of time as the eatery can get quite full fast. 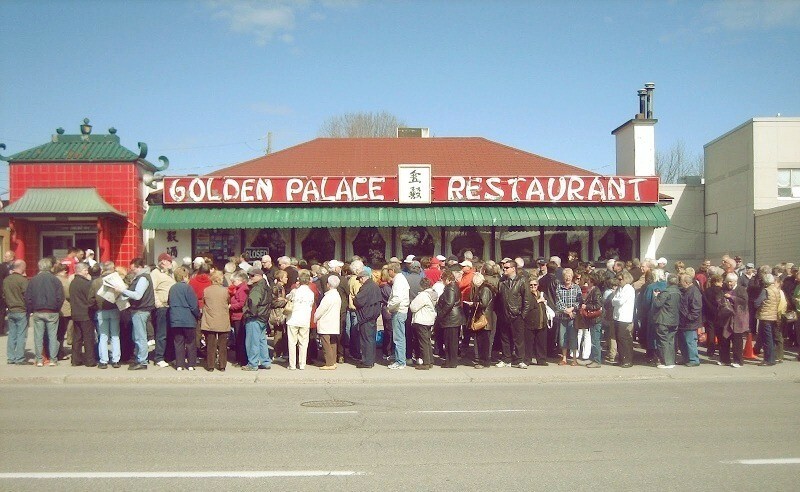 That’s just about it with our must-try Chinese restaurants in Ottawa. There are plenty more amazing options but these make for our best Chinese food Ottawa eateries. Best of luck as you roam Chinatown in the hopes of quenching your hunger and desire for Chinese food.